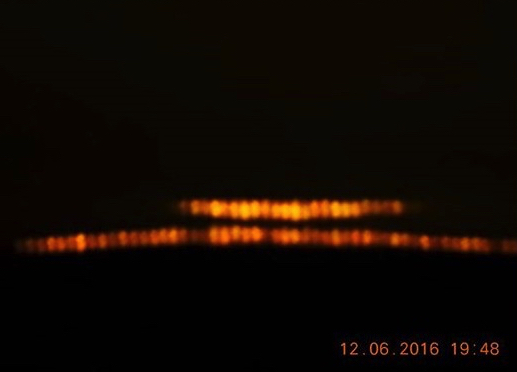 UFO SIGHTINGS DAILY: UFO Lights Seen Over Rosario River, Argentina On June 12, 2016, UFO Sighting News. 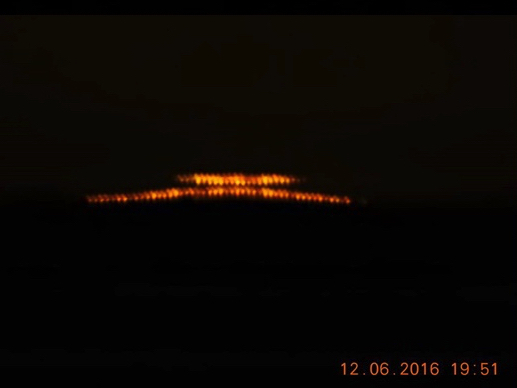 UFO Lights Seen Over Rosario River, Argentina On June 12, 2016, UFO Sighting News. This is an interesting sighting of some glowing lights over the Rosario river in Argentina last week. It looks like we are seeing a UFO hovering over the water, hence the two long lights. 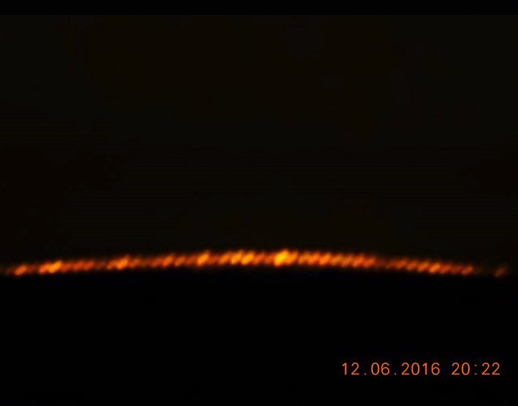 However the top light is actually the UFO, the bottom light may be the reflection or the illumination from the doorway below the surface which the UFO probably came from. Hiding a doorway underwater that takes you to an underground base is a smart move.